Denso is a Japanese brand with more than 50 years in the development of industrial robots. World leader in small industrial robots with more than 100 thousand units installed. Denso Robotics is a Japanese company founded in 1967. When industrial robots first appeared in the late 1960s, DENSO began to develop and apply emerging technologies to their own production processes. This strategy allowed the company to constantly improve and improve in terms of hardware and software. 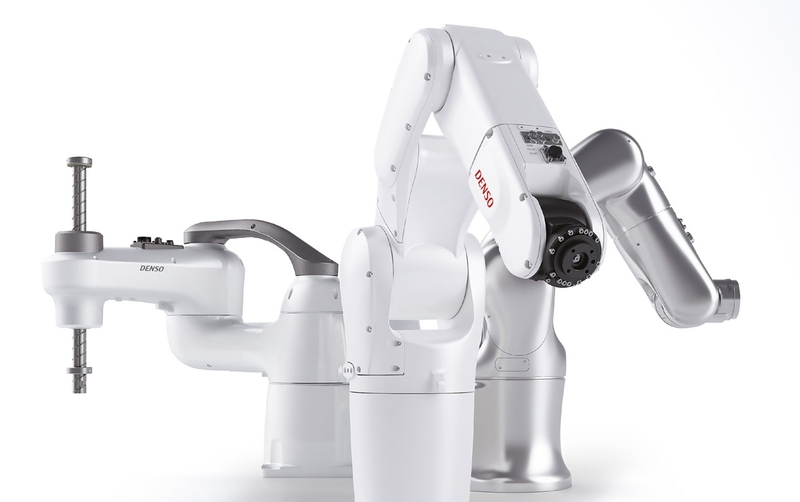 Today, as the established leader in the small-sized assembly industrial robotics segment, DENSO Robotics continues to set standards in terms of robustness, flexibility and functionality. 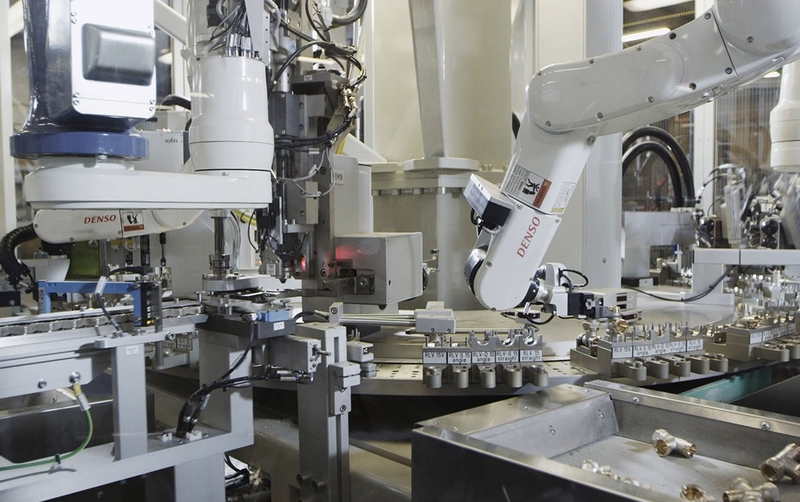 With more than 100,000 DENSO robots installed worldwide, 20,000 are installed in DENSO plants, thus proving that no other company has more knowledge or experience in this field. By choosing a robotic solution from DENSO, you can be sure that you are investing in a high quality product. DENSO's commitment to the quality of construction of its robots and customer satisfaction is simply unmatched. DENSO has a range of 4, 5 and 6-axis robots with load lifting capacity up to 20 kg, a range of up to 1298 mm and a speed of approximately 11,500 mm / s.
Continuous movement of high speed, compact body for space saving. With continuous operation of high speed and high precision, this range presents excellent rigidity and portability. Fixed to the ceiling, consisting of a linear axis allowing the robot to work on itself presenting a compact shape. Human-friendly, compact and portable allows you to be transported anywhere and automate tasks right away. It does not require specialized knowledge, making operation extremely easy. Compact and easy-to-use robot controllers. Due to its modular design, maintenance is carried out easily and quickly. Wide range of software to program DENSO robots and peripheral devices from a PC or PLC, simulating real production lines.